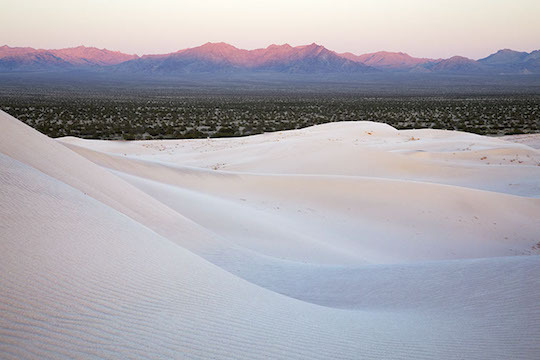 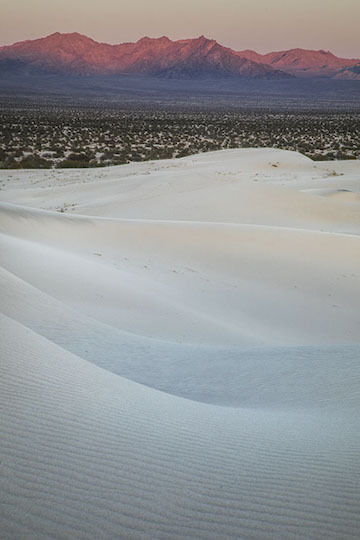 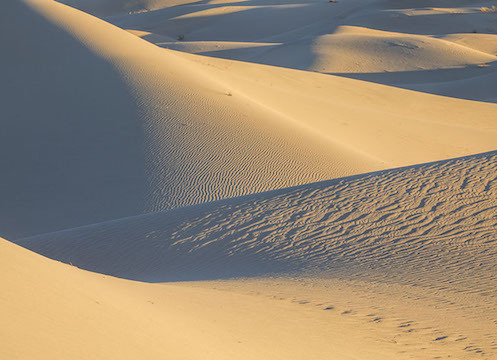 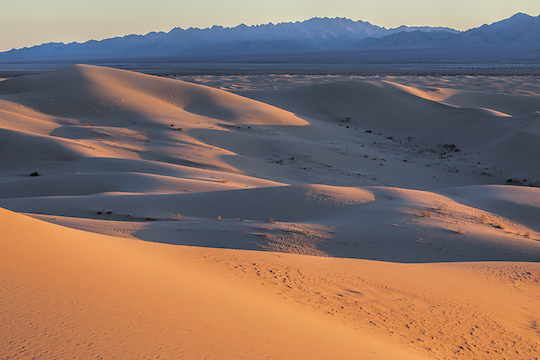 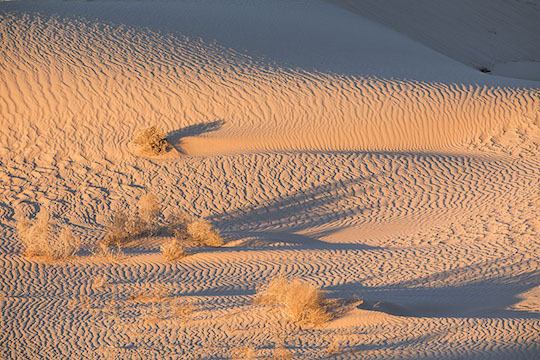 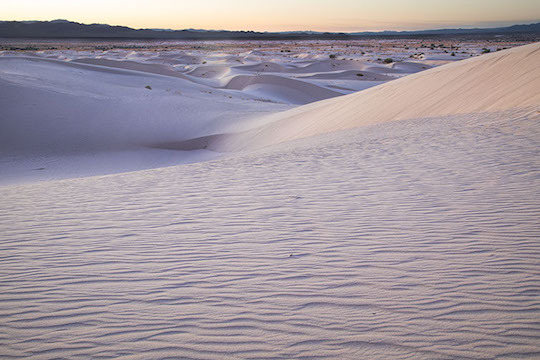 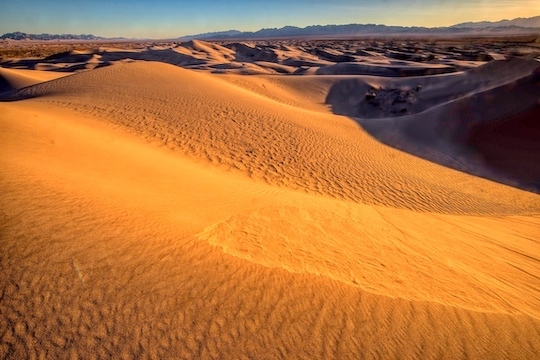 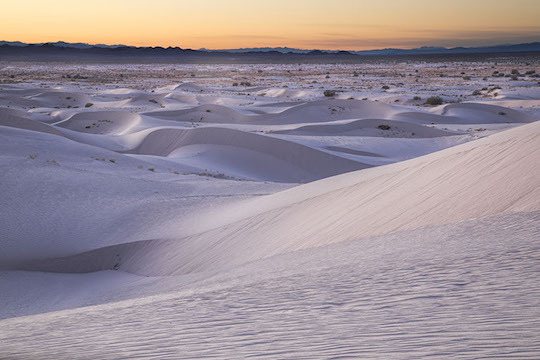 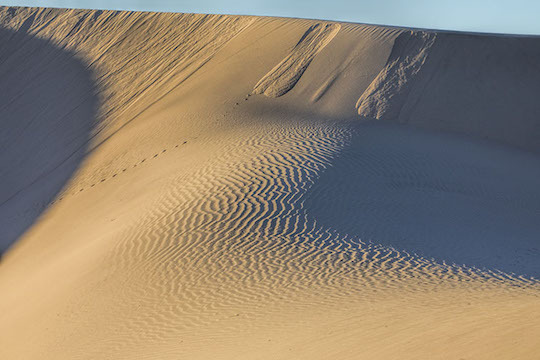 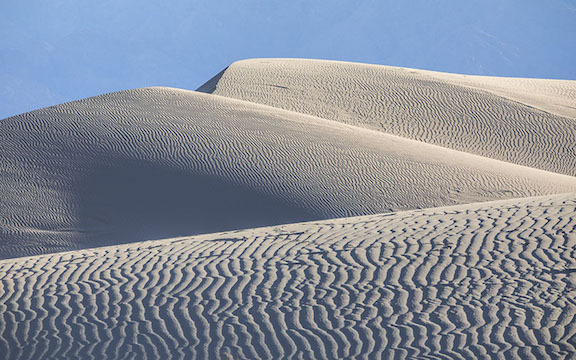 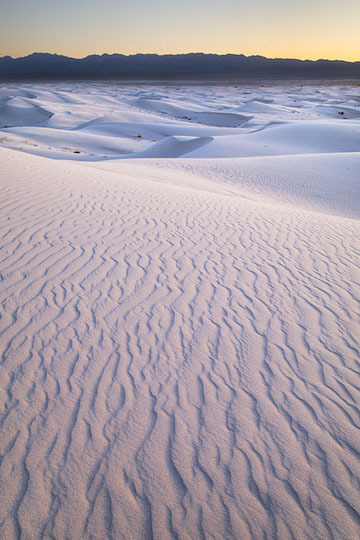 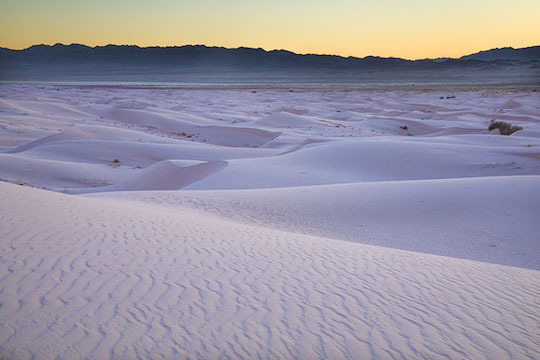 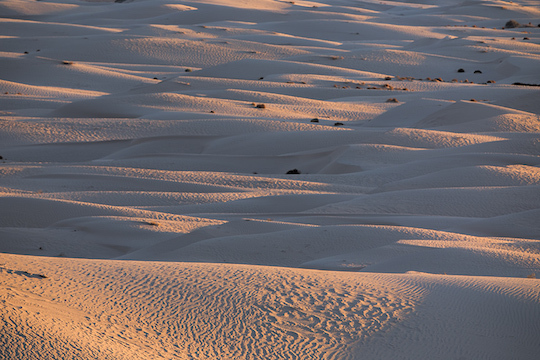 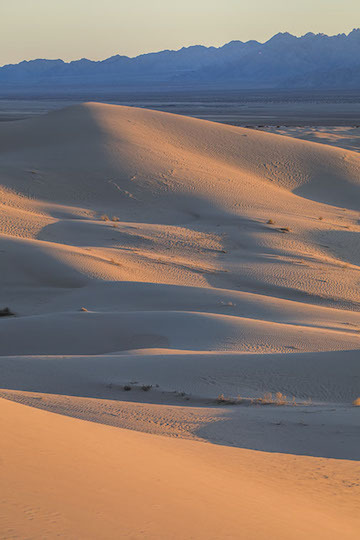 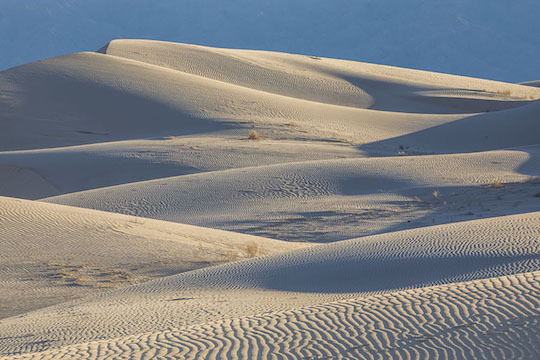 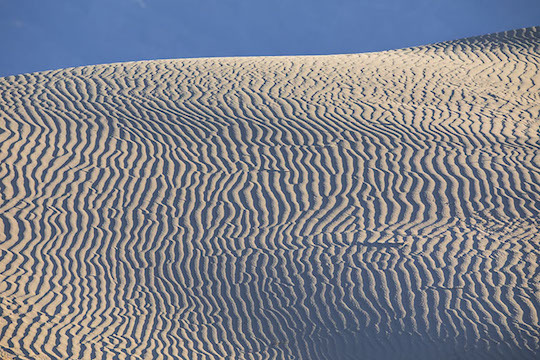 Cadiz Dunes are a little-known collection of moderately-sized sand dunes in Mojave Trails National Monument in the eastern California desert, reachable only after many miles of dirt roads and a moderate hike. 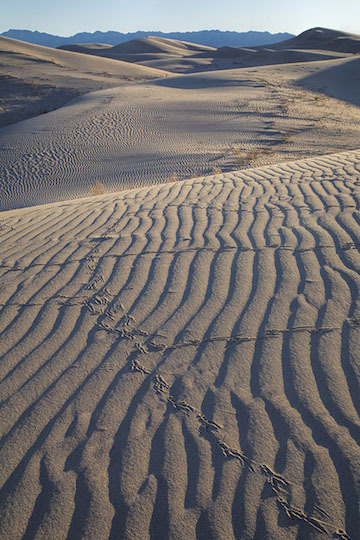 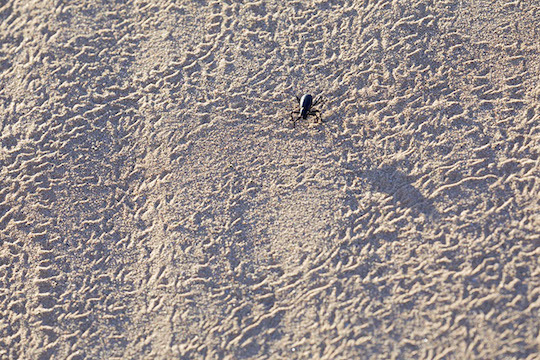 Two friends and I spent a January afternoon there and encountered no one else -- although the dunes were covered with Tenebrionid beetle tracks and raven and roadrunner footprints. 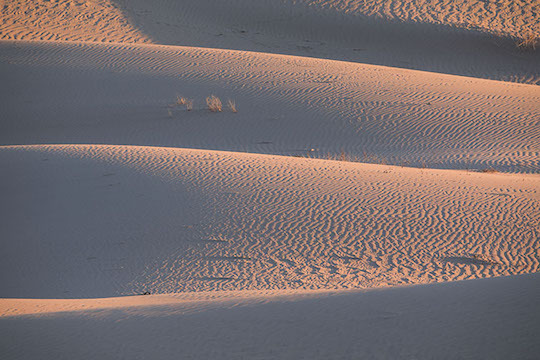 We stayed until after dusk, and the changing light enticed us to photograph the same scenes over and over. 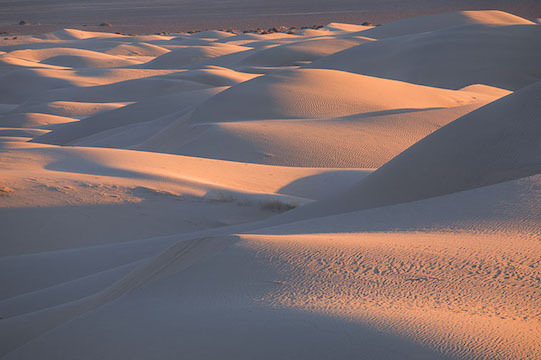 Between us we had a variety of lenses, and often we preferred the intimate view offered by telephotos to wide, sweeping vistas. 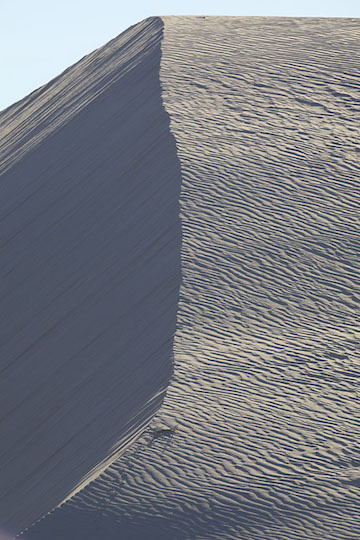 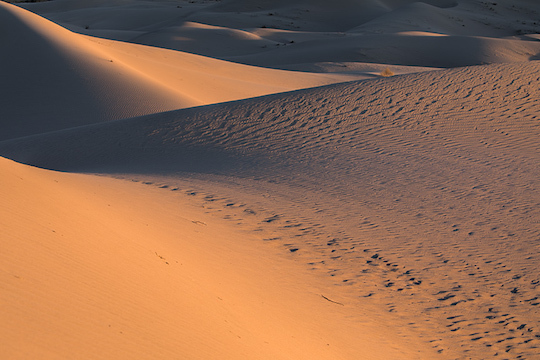 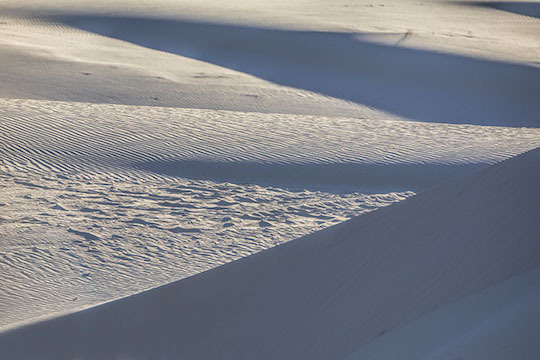 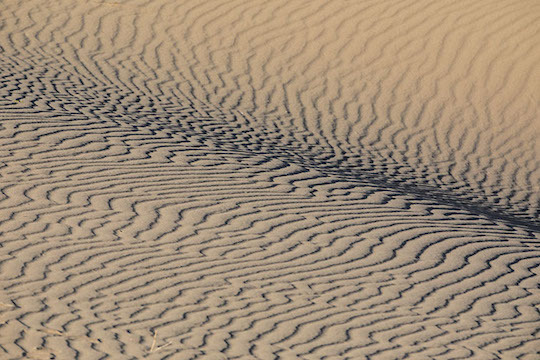 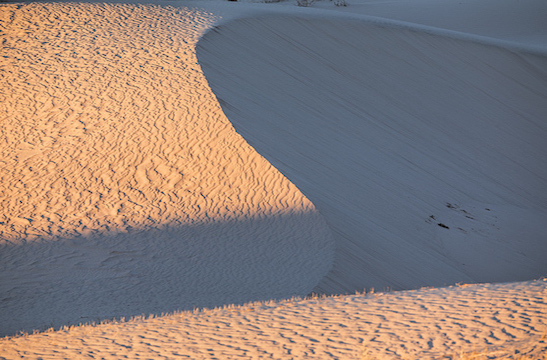 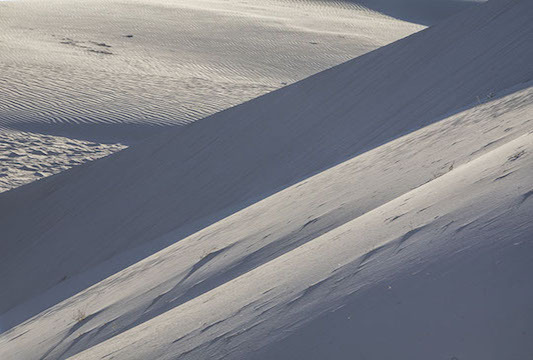 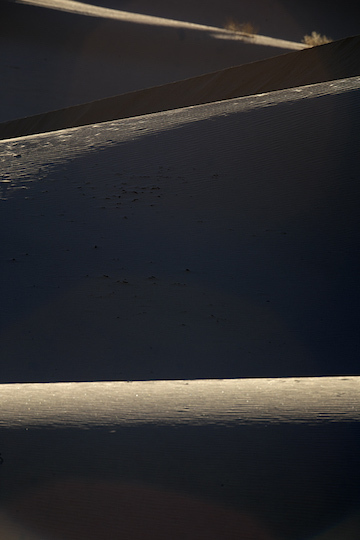 Ibex Dunes in southern Death Valley is another spectacular and little-visited dune field.